Everything Inside the January Brave Crate!! There’s something about turning the page on a new year that inspires me! For many of us the new year means a renewed focus on our health and wellness goals, but during deployments finding the motivation to focus on self care through fitness and physical wellness can feel almost impossible. Even though it can be tempting to spend my (limited) spare time cuddled up with Netflix, I know that so much of my emotional and relational health in this season hinges on whether I’m making time to keep my body healthy first. This month our community is focused on becoming our healthiest, strongest selves while we prepare for homecoming. And guess what? Chances are our spouses are spending their spare time during deployment doing the exact same thing. 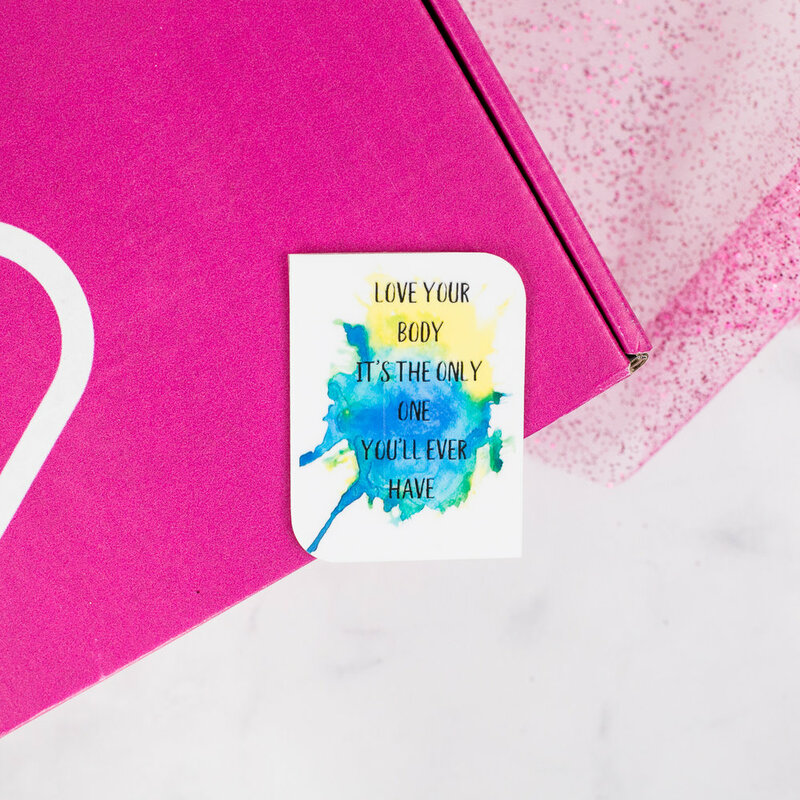 With the help of guest experts and the fit-spiration you’ve found in this months box, we’ll create new healthy habits that can carry into our life after homecoming! I hope that everything inside this months Brave Crate helps you start strong in this new year! This would be a great place for us to make a joke about military spouses being “thirsty” during deployments… instead we’ll just remind ourselves that adequate hydration is key to any wellness goals we have before homecoming! Keep yourself on track to a hydrated homecoming with this water bottle! If you’re like us, you know that one of the perks of deployment is getting to choose what you eat (no matter what anyone else feels like eating!) This magnet is a reminder to care for and love our bodies each and every time we reach into the pantry or fridge. Let’s love our bodies and give it the food it needs to fuel us- whether that means a big green salad or a giant slice of pizza!! No matter what your health goals are during deployment, having a plan is KEY! This 90 Day fitness journal is the perfect way to track your goals and your progress along the way! BONUS: share your weekly progress with your spouse to keep them included! Your body is working hard for you while you conquer this deployment season! Whether you’re running at the gym (or just running errands) fuel your workout with this Almond Honey Protein Bar! With 20 grams of protein and only 3 ingredients this delicious, healthy snack is a great on-the-go option! I bet you’re wondering why we sent you deodorant aren’t you? Here’s the thing- a great motivator when it comes to health and fitness is embracing the journey as a couple. This can be a huge challenge during deployment! 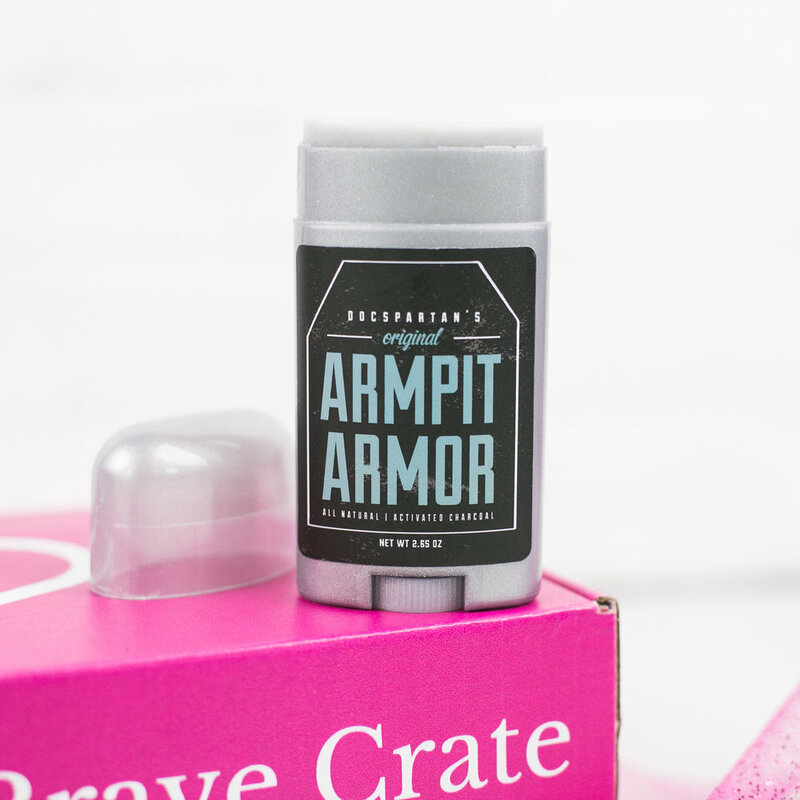 Instead of waiting for homecoming, inspire yours spouse to get sweaty (but not smelly) by sending this tea tree scented toxin-free deodorant! Don’t hold back! You can go all out (and still look cute while you do it) with these multi colored, ultra-grippy headbands. Ideal for any hair length, these bands are stackable, mixable and the most stylish way to keep your locks out of your way while you get your sweat on! January Subscribers receive 30 days of full access to The Badass Mama Warriors with Annie Peguero! This comprehensive online fitness and wellness platform transforms women who misplaced their spark into mamas who rock a fierce bod & crush their personal goals so they can show up energized and present for their family through LIVE workouts, a workout video library, guest expert Q&A’s. video coaching calls and an online community of uplifting women! Suzy Goodwin- Mama, Army Wife, Marathoner and ZYIA Active representative joins us in our private group for an online workshop explaining how even the busiest military spouse can CRUSH their fitness goals using the Minimum Effective Dose training method!